Coerver Coaching recently asked Spanish legend Xavi, for his advice for young players and you the coach. Coerver Coaching: Your First Touch is always perfect. This requires mastery of the ball. How important is Ball Mastery for young players? Xavi: I think mastery of the ball, with good ball control, should be the priority of all young players and their coaches. As your control improves you will get more satisfaction and fun from playing the game. Ball Mastery is the foundation that you can build all other parts of the game on. 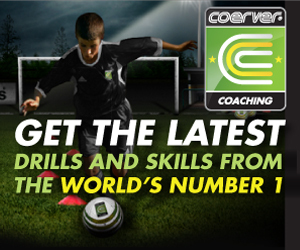 Coerver Coaching: How can young players improve their ball control? Xavi: Ball Control can only be improved by practice, so try and make the time to do this. Make sure you work on both feet. 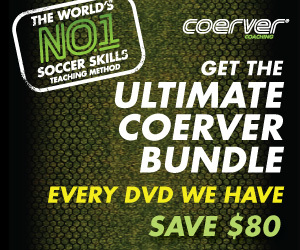 Coerver Coaching: Your Passing is world famous, what tips can you give young players to improve they’re passing? Xavi: Try and be accurate in your passing. To do this you must be constantly looking up, to see your options. Once you pass, and then move into space where you can help your teammate. Xavi came through La Masia, the Barcelona youth academy, from the age of 11. He made his first-team debut in 1998. Since then he has played almost 700 matches for Barcelona, winning six La Liga Titles and three UEFA Champions Leagues. Since making his international debut for Spain in 2000, he has won UEFA Euro 2008 & 2012 and the 2010 FIFA World Cup.